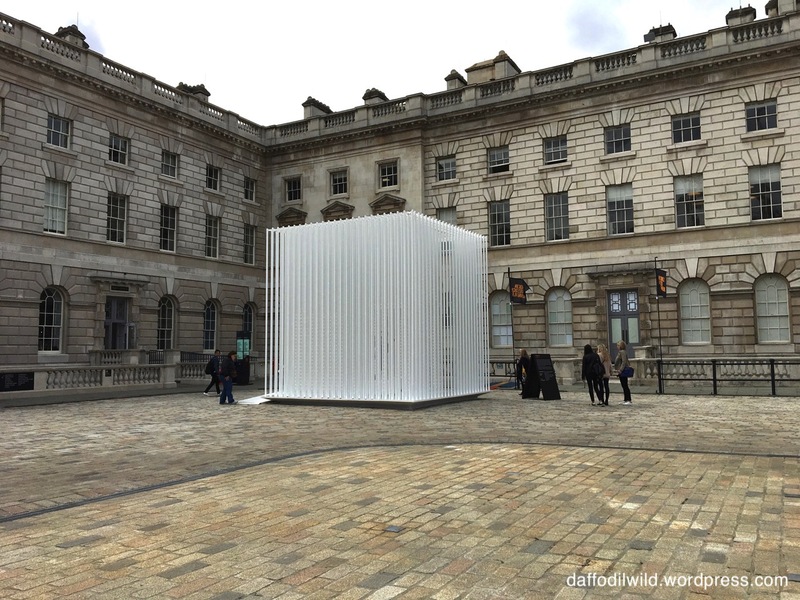 Ever since seeing Cathy’s post about Rachel Whiteread’s, I was looking forward to seeing it. 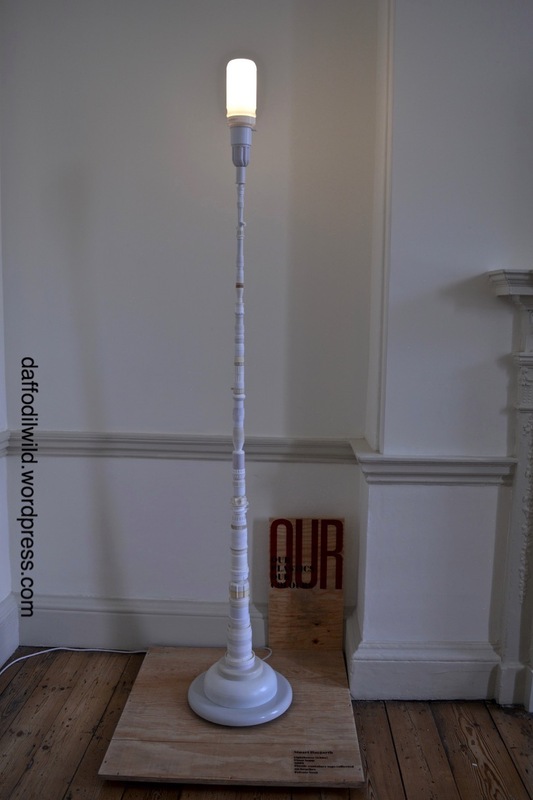 Cathy’s post sparked off a lively and forthright debate about what her readers thought of it and whether it is indeed ‘Art’, if you follow the link you can go to the comments and see what we all had to say about it. 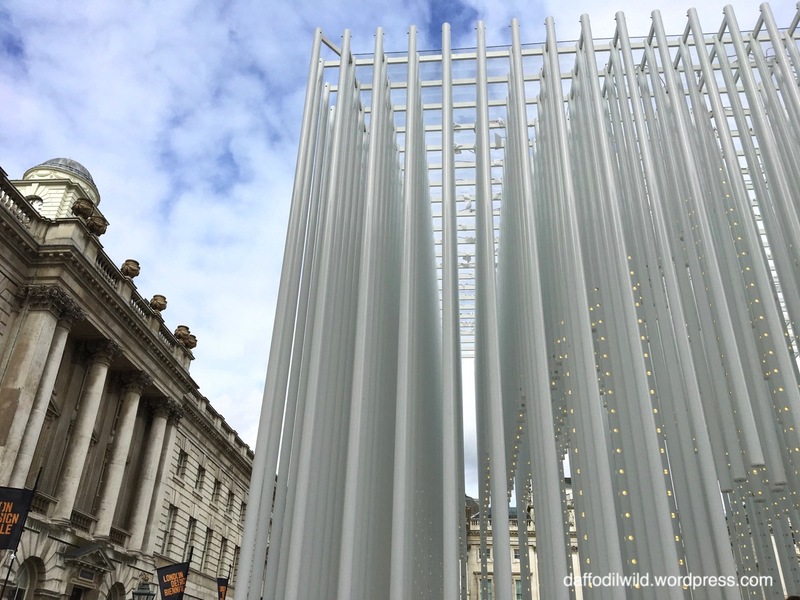 I am a fan of Rachel Whiteread and her work, you can see other posts I’ve written about it, here, here , here and here. It’s not easy to sum up why I relate to her work, but I think it is about the way she gives the small, seemingly trivial aspects of human activity, construction and development a monumental quality. She uses real objects that show the marks of time and use and sets them in a monotone, permanent structure that gives us a chance to explore the details in a new way, and think about the hands that created the original structure and all that it connects to. To me this is a war memorial that does not speak of the military, hierarchy or grand gestures, this commemorates Peter Nissen, the man who designed a pracitcal solution to a required need, during the First World War. The sculpture remembers the men who constructed it and lived in it and it connects us to those who constructed other Nissen huts over decades and all the different uses they have been put to. This one also commemorates the men who worked for the forestry and planted the forest it sits within. It commemorates time passing with the flaws and evidence of decay. It is the only permanent public piece in Britain of this, our most successful living female sculptor, it relates to all her other works throughout the world. Making art is not only about making something that looks nice. If it causes one to think about things in a different way it has done its job. Without knowing the story of this sculpture it would be difficult to appreciate what on earth it is doing in the forest. That is the same for most art – if we don’t want to discover more about it, we can just walk on by, but taking time to discover the story is, for me, an enriching, thought provoking and sometimes emotional experience. an article about the sculptor’s family connection, her grandfather was a conscientious objector. Not everyone will see it in the same way and all views are valid. Some of the locals were very much against it. I’d love to know what you think. In Cathy’s original post she wondered if the Nissen Hut would attract graffitti, and Tialys’s comment prompted this quickly scrawled temporary bit of graffitti. and you can see a few more pics on this post of Cathy’s. 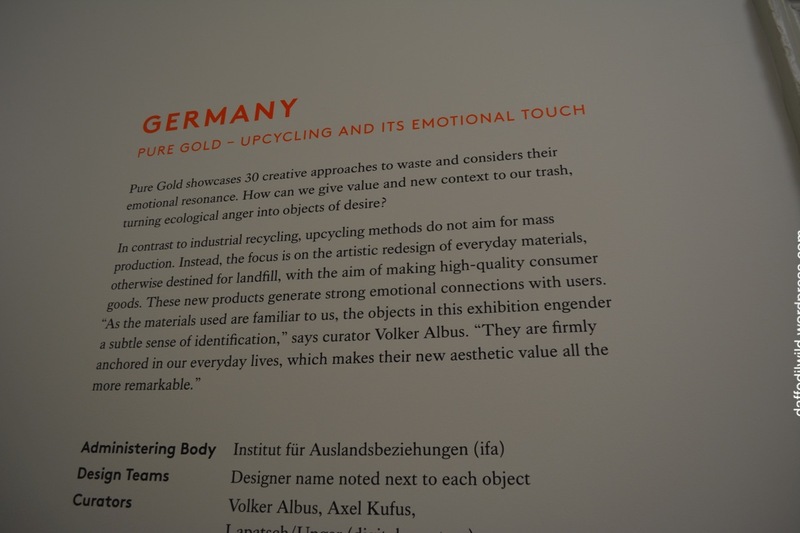 I am still trying to understand why this exhibit had such a profound effect on me. The Title is Time is Subjective and you can read more about it here. I felt so deeply connected to the idea and concept of rows of hour glasses, every so often turning slowly and another cycle would start, another event causing time to pass in a different way, at a different rate, with periods of stillness in between. The soft twinkle of the sand falling through and landing on the grains beneath … and so many all together, all connected. I am still not sure where that gets to me or why it does, but it does. Thank you so much to all of you who have enjoyed this brief 5 part tour of the London Design Biennale. It has truly enriched my experience of the event to have you all along with me as I remember the experience. I love going to exhibitons on my own so that I can experience them from my own perspective in silence; and then to be able to go round the exhibits again on a virtual tour with you, my blogging friends, is something very special, seeing things again with new eyes, the eyes of a collective creative group ………… so good! Can you imagine us all going round together singly or in pairs and then meeting up and chatting about the exhibits whilst sitting in the sunshine in the piazza with a cappucino or a green tea and cake! And then going back for another look all together …. 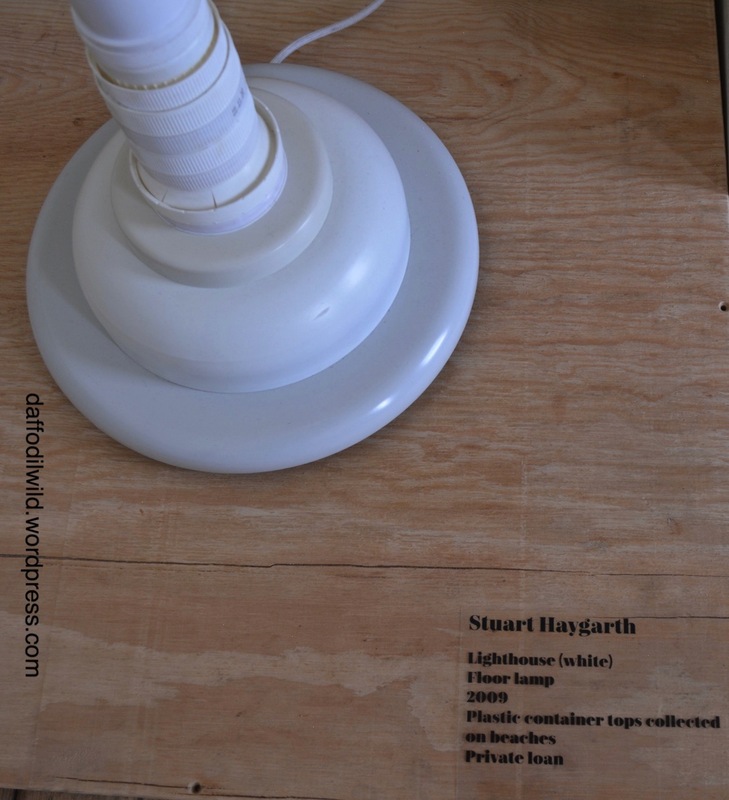 Farewell London Design Biennale …….. looking forward to the next one! Now for a quick dash through some of the exhibits as my penultimate post about this fantasmagorical exhibition! Come on – keep up! I liked the way the rainbow lights shone out of the darkness in such a playful way – metaphorically beautiful. from Hong Kong, Sensorial Estates: lift the lids and inhale deeply! Heady stuff! And now a quick trip to Guatamala. 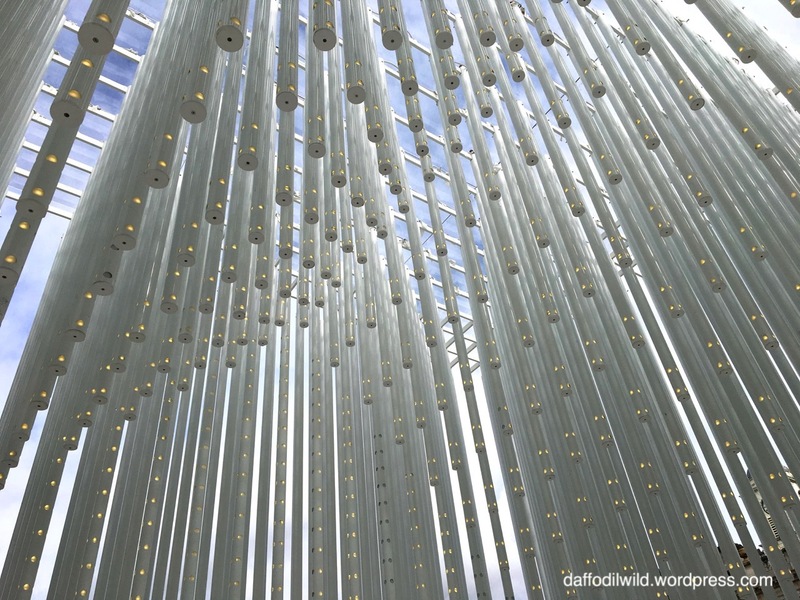 This exhibit really deserves more time – click on the link to discover more and see much better photos. Such a great project. Each button on the black box, when pressed created a different light effect on the wall and different sounds. It was fun to play with these and feel like a conductor of light and sound. I played for some time here and it got even better when I was joined by a group of students – I got a tiny teeny titchy sense of what it must be like to be Jean Michel Jarre! Ha! Lastly, for this post, kaleidoscopic doodles from Saudi Arabia – blurred because they were constantly moving. Oh how I would love to be able to do this with my mandala doodles. It makes me feel charged with electricity just thinking about it! A mandala doodle as a kaleidoscopic mirrored wall – oh my goodness wouldn’t that be trippy! Gosh I have to stop now and go off into my mandala-doodle-filled fantasy – I might be lost all day! Click on the links to discover more about each exhibit. 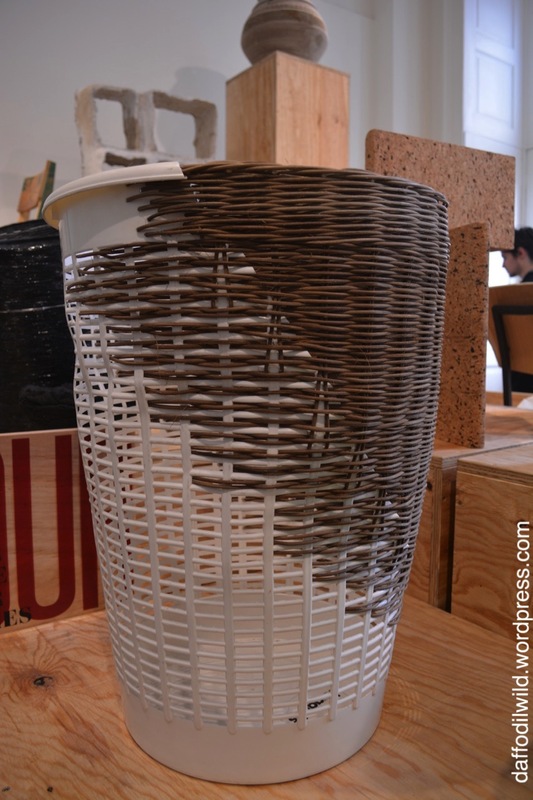 See you soon with my last post about the London Design Biennial at Somerset House. 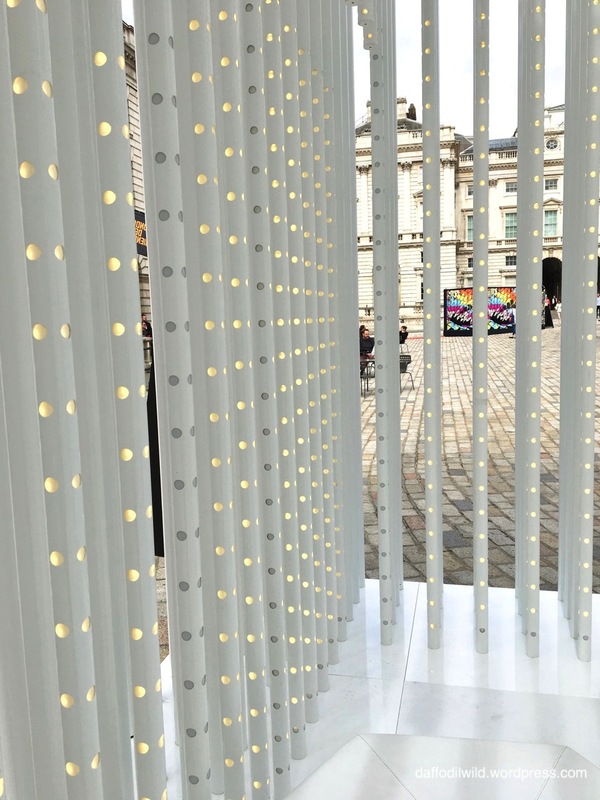 In one corner of the courtyard there was Turkey’s contribution to the London Design Biennial exhibition, a cube made of white rods embedded with lights. You can read a description/explanation here. It is called ‘Home’, but I did not find any resonance with the title or the explanation. I did enjoy it though, it must have looked wonderful at night. The best bit was watching how others interacted with the space. There were some gorgeous romantic photographs being taken of girlfriends, couples and family groups, who all seemed to glow within this white space. It got me thinking how wonderful it would be to have an exhibition of spaces/settings that would be perfect for photographic portraits. For instance, Rachel Whiteread’s sculptures would be perfect. There was an exhibit ‘Kiss in Budapest’. The idea was that a person would enter from either end and kiss in the middle – outside the booth their picture would be displayed againt the backdrop of live webcam photos of places in Budapest. Fun idea. Inside Somerset House room after room was filled with interactive exhibits. 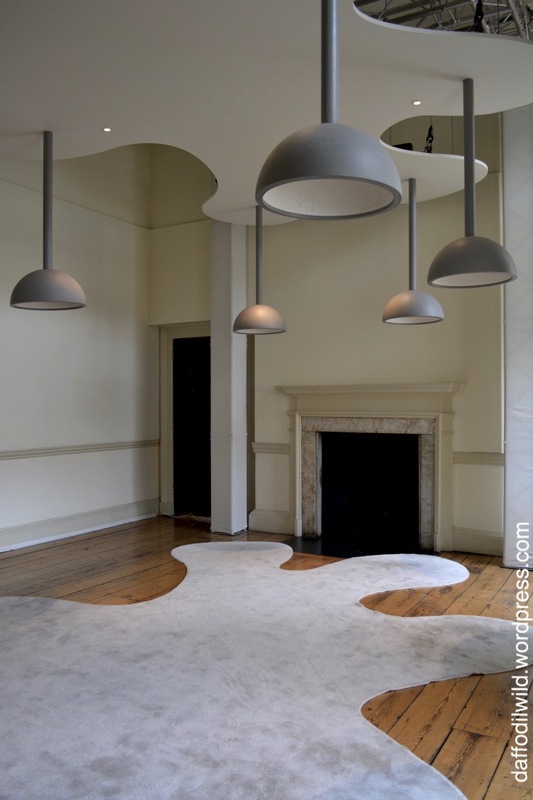 I could only get a faint floral whiff from a couple of the domes, maybe I needed to be taller, but I did like the shape of the carpet. I loved this standard lamp made of bottle tops, maybe I’ll try a table lamp one day. Made from Beach Clean too – win-win! Kiss in Budapest FB page. In the courtyard there were several pieces of interactive art/sculpture – my favourite type of art. My own experience of it emphasized that every step we take has an impact. so you had to think about keeping your balance. It was made of recycled plastic. A whole body experience has an impact on all the senses – every step I take makes a difference … to something, or somebody. If I know it in my body, I know it forever. 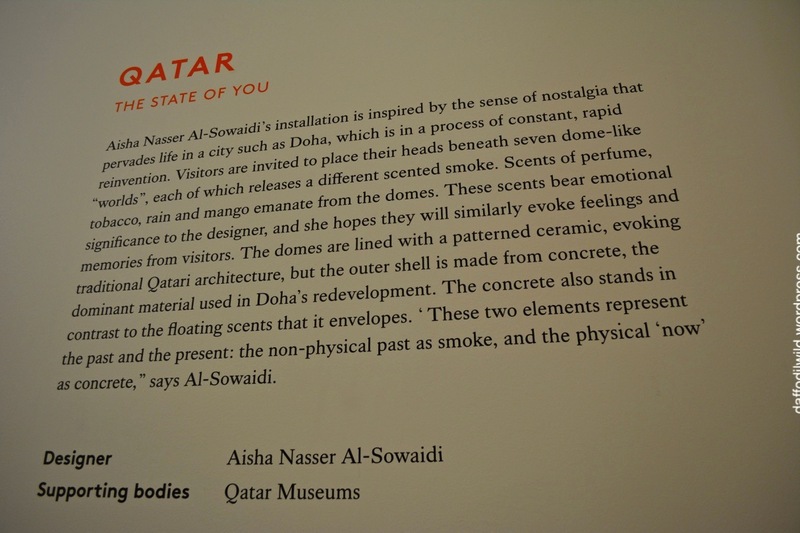 There was so much to see and interact with in the whole exhibition, and as you can imagine I took hundreds of photos. It is taking me a while to process the photos and the feelings that each exhibit evoked …… more to come.